WE HAVE TO BELONG feels intensely personal this way. It is more than a brilliant commentary on Politics, Leadership, Youth Culture and socio-political Advocacy. It is overall a call to action; a summon to battle for the soul of a troubled yet promising nation. It is also important to foreigners who seek to understand the complex Nation of Nigeria since it provides an appreciable survey of the country’s current standing and the nuances of her people as they march forward. 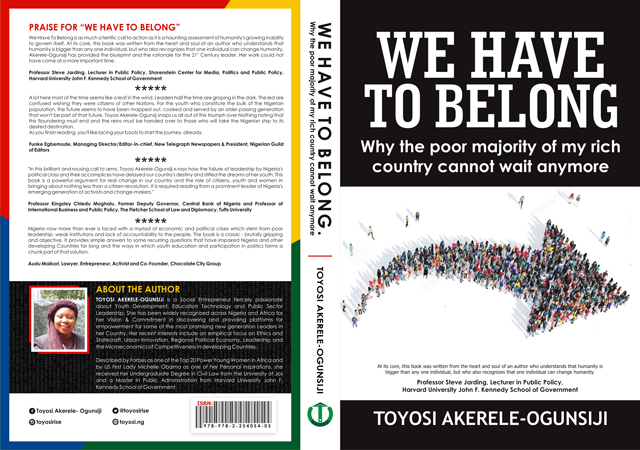 There is no middle ground anymore as Toyosi’s work shakes the readers out of any illusions of maintaining a comfortable complacency regarding their roles in the future of Nigeria. An action plan resonates through every chapter of the book and the author throws a challenge around the gathering. The reader is confronted with a clear option to join the march to Solution and Resolution. This is a book which could not have been written at a better time. Nigeria is presently adrift in a sea of political upheavals. The national boat is ridden with deep striations of Corruption, inter-ethnic strife, a perniciously virulent strain of terrorism, spurious violence, poverty and instability. This vessel though battered and callously buffeted this way, is not beyond repair. This ‘’repair’’ however should not be at the behest of political buccaneers and their unscrupulous co-travellers. This is what the author makes most clear.  The World has been inundated with all sorts of talk and text about the now seemingly intractable Nigerian Problem. Sadly, a few are self-serving artifices as members of Nigeria’s political class who have over the years constituted what is arguably the most formidable impediments to the country’s march to progress have themselves written copious volumes about the same issue. It has been a steady cacophony and Ms. Akerele-Ogunsiji’s compelling voice is a welcome emergence into the scene. Her mastery of the roles of Participant Observer, Analyst and Advocate instill deep confidence that this ‘Voice’, though relatively neophyte in the field of political opinions, is a voice we would do well to listen to. The author insists further that we have talked for too long, and must now begin to walk and work our talk. We must Mastermind, Mobilize and Move.